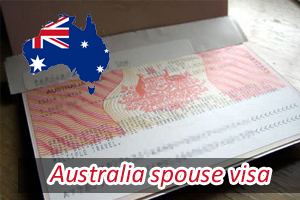 Home » Australia » How to obtain Australia Spouse Visa ? This entry was posted in Australia Australia Immigration Visa and tagged Australia Immigration Australia Permanent Resident Australia PR Australia Spouse Visa stay in Australia visit Australia on July 26, 2014 by Blog Author. Are you married to an Australian Permanent resident? Want to stay in Australia along with your partner? Then, you should know the basic requirements and immigration process to visit Australia under Australia spouse visa, which are provided in this article. If applicants are married to an Australian national, eligible New Zealand citizen, permanent resident of Australia, or engaged in a de-facto relationship (common law) for minimum 12 months, then they might be entitled to visit Australia by acquiring an Australia Spouse Visa. During the applicants stay in Australia for initial two years, their spouse or partner may sponsor them. Following this, if the relationship is still reliable and ongoing, applicants might be qualified for permanent residence and can stay in Australia. Individuals need to fulfill the following requirements in order to stay in Australia with their Australian partners under Australia spouse visa. Australia spouse visa applicant and their partner should possess a commitment to a shared life as wife and husband. Even though, they are married legally or not. Applicants should have been in a relationship with the spouse for the last 12 months if they are not legally married. Evidence must be provided that both the partners have lived together throughout this period. Once, applicants meet the requirements they are eligible to apply for Australia spouse visa in order to move and stay in Australia. The visa processing time for this visa is subjected to change. The processing time for Australia spouse visa mostly depends on the applicants’ profile. Please fill out Our Enquiry form or follow us on @ MoreVisas Facebook, LinkedIn, and Twitter. ← What are the requirements to obtain UK Tier 2 Visa?